SERVICES IN THE PERMIAN BASIN. Premier Flow Control is a leading provider of flowback, well testing, nitrogen, and equipment rental services. Our focus is to serve exploration and production (E&P), midstream, and industrial companies at the highest possible standards. We facilitate more efficient operations for our customers by completing jobs quickly, reliably, and – above all – safely. 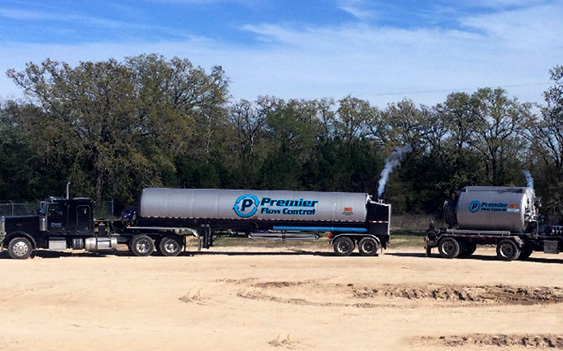 Premier Flow Control has some of the most experienced oilfield service professionals in the industry and utilizes a high-quality fleet of equipment to eliminate or minimize downtime. We pride ourselves in working safely at all times, being responsive to our clients’ needs, and showing up on time and ready to work. Please submit finished applications as PDFs to payroll@premierflowcontrol.com.